I n the title story, a man is so terrified of leaving his apartment that he lowers a basket with cash from his fourth floor fire escape landing to pay the pizza delivery guy. “I have a mental illness,” he explains whenever people give him strange looks. 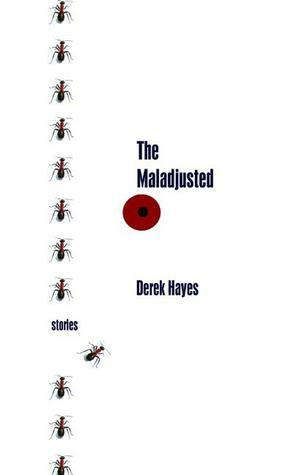 Such characters form the stories in Derek Hayes’ compelling collection The Maladjusted. These individuals go beyond awkwardness — some are painfully shy, others deeply insecure — and many seem acutely aware of the confidence with which others approach the world. In the book blurb, Martin Amis calls Hayes “a talented new writer from Canada worth keeping an eye on,” and it’s easy to see why. Hayes’ stories are snappy and engaging, yet full of compassion. One of the first rules taught in writing classes is to show, not tell, and Hayes’ stories prove why this rule works. His prose is straightforward, yet restrained. His stories give the impression of presenting everything the narrator sees and thinks, while still holding back on so much more going on. In “That’s Very Observant of You,” probably my favourite story, a woman regularly orders takeout Chinese from a restaurant with an attractive waiter. Except she goes straight home, and when invited by a neighbour to a party, pretends she has evening plans with her sister. Truth is, she eats the meal while watching a video, the volume turned down low so her neighbours don’t realize the truth. “Her fingers rubbed grease into the folds of her flabby belly and legs” and she wishes her sister, the “only person in the world who loved her” was with her [p. 41]. In the hands of a lesser writer, this woman could have been a pathetic, maudlin mess. In the hands of a different type of writer, the story could have been a caustic take on the social pressure to conform, or perhaps on this odd woman who refuses to admit she’s alone. Instead, with Hayes, we get a figure so real, we can almost picture her in front of her TV. We get a character depicted with such vivid detail that she inspires compassion while having too much dignity to deserve pity. The smallest detail means a lot, and the smallest shift in character behaviour implies so much more. The characters are on the fringes of society, or otherwise so screwed up that they’re unlikable, and yet Hayes manages to make them all feel real, and in making us feel something for them. I absolutely loved this short story collection, quick reads suited for the subway, with characters that will resonate long after you’ve arrived home. Thank you to the author for a copy of this book in exchange for an honest review. This entry was posted in Book Reviews and tagged 50BookPledge2012, Fiction, Short Stories by Jaclyn. Bookmark the permalink. Excellent. I have this one to review as well, and I very much look forward to it.